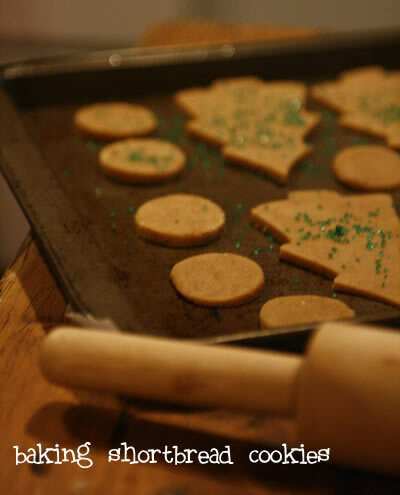 One of my favorite holiday traditions that always gets me in the Christmas spirit is baking shortbread cookies. I have fond memories of rolling the dough out with my mom, selecting which cookie cutter to use (to maximize the dough layout, of course) & then that smell. 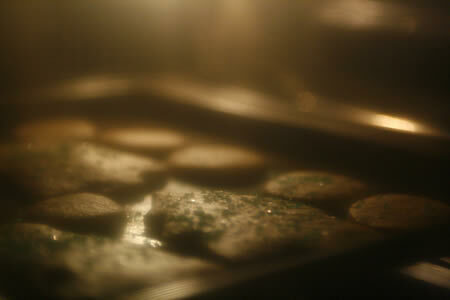 Mmmmmmm…nothing beats the smell of fresh baked cookies. Shortbread dough is much easier to cut into cookie shapes if it’s cold, so we’d usually make a big batch & then store it in the fridge. Roll out a couple of pans of cookies, then throw it back in the fridge – we had fresh baked cookies every couple of days!